First up, how cute is this orange and aqua color combination from The Far Fifty! Love those darling drawers! 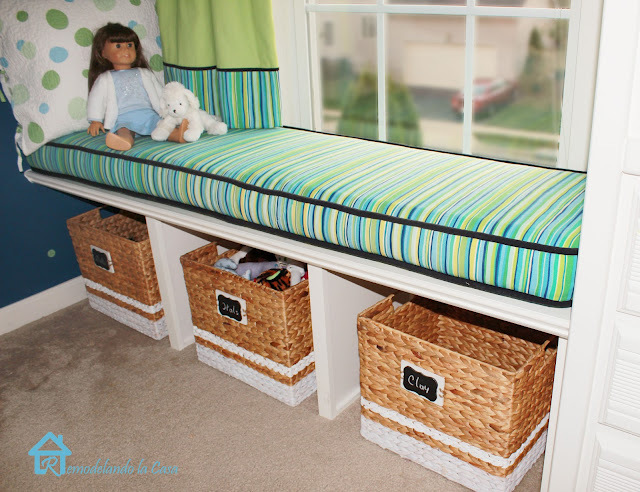 Christina from Remodelando la Casa created this sweet window seat in her daughter's bedroom. It's pretty and functional! And Christina shares a complete tutorial so you can make one too. You'll also learn all kinds of tips from this beautiful chandelier overhaul over at Me And My DIY. Definitely check it out! 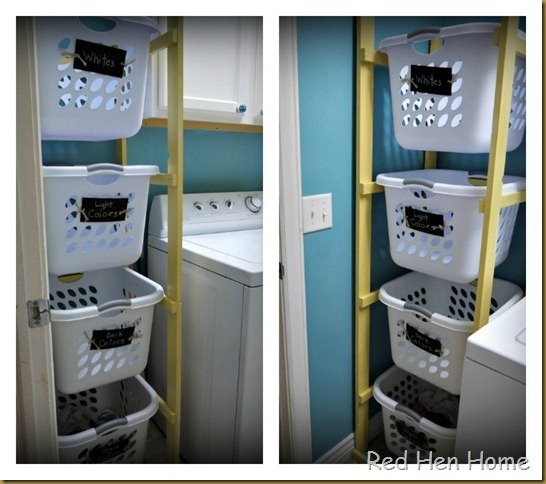 And Korrie from Red Hen Home had a few tricks up her sleeve when she gave her laundry room a makeover. She built a tower of baskets to make sorting laundry a breeze (well almost)! And Korrie also makes the cutest beadboard bunting! And you know how much I love paint. Well here is proof positive that just a little bit of paint can have a huge impact. Check out this before from Ali at My Third True Love. And after a little bit of aqua love on her front door, Ali says her house makes her smile. And isn't that just the way it should be? And finally, I just love this beautiful ruffled burlap tree skirt from Laurel Leaf Cottage that also comes with a great tutorial. What a perfect time to get a jump start on a holiday project! Thanks so much to everyone who linked up and linked back! If you've been featured, feel free to grab a cute little button from the sidebar! Thanks so much for the feature, Sharon! Congrats on your #40 Party! Great party, love the features. Thanks so much for hosting Sharon! Great features! LOVE that tree skirt I better get a head start on that one!Thank you for hosting! Thanks for hosting Sharon! Great features! awesome features! i love ali's happy door, kathy's nightstands, korrie's laundry rack... all of it! Sharon, congrats on your 40th party! I remember my #40 and yours makes me a lot happier,haha. Also, I just bought Behr's French Silver for an office piece and can't wait to use it. You and Megan continue to inspire me! Thanks SO much for the feature Sharon, I am in great company!!! LOVE your features this week! Thanks for hosting. great features, and LOTS of fabulous links already. thanks for hosting. have a great week. I just love fall! Thanks for hosting Sharon. 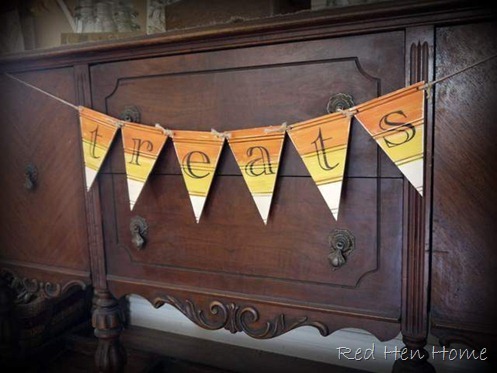 Those little end tables are sweet but you can't forget the cute bunting above them! Hi, Sharon. Just found your blog from the new Linky List Directory. I am now following you and look forward to reading the wonderful posts entered by your followers. 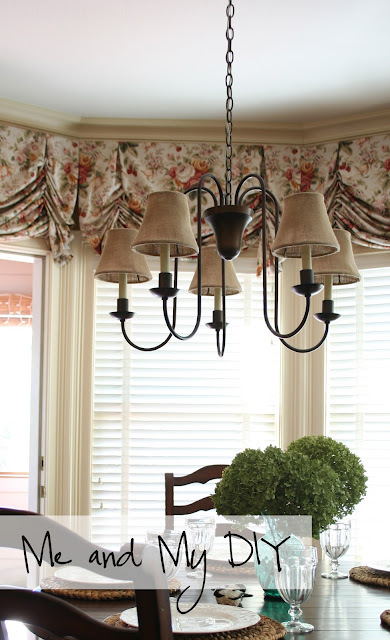 Hi Sharon, just wanted to say thanks so much for featuring my chandelier overhaul! And congrats on your 40th link party. That's awesome! I'll definitely be linking up again, and I enjoy looking at all of the party links and features every week. Thanks again and have a super week! Thank you so much for this post. 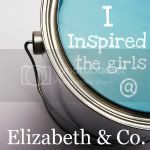 I want to let you know that I posted a link to your blog in Creative Busy Bee Craft Inspirations, under the Page 2 post on Oct. 10, 2012. Thanks again. Lots of thank you's & a giveaway winner!